The sound of a dripping faucet is the classic late-night annoyance. But more than that, leaky faucets are big water wasters. A faucet leak at just a drop each second wastes over 2,000 gallons a year. And it can lead to mold and water damage beneath the counter top. Or you may be tired of that squealing sound when it hits that particular position, have a damaged handle, or be tired of looking at the old thing. Just get it done. 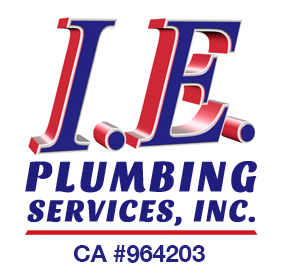 Give our plumbing services a call. Whether in the bathroom, kitchen, or laundry we’ll check it out and probably fix it right away from the inventory in our trucks. 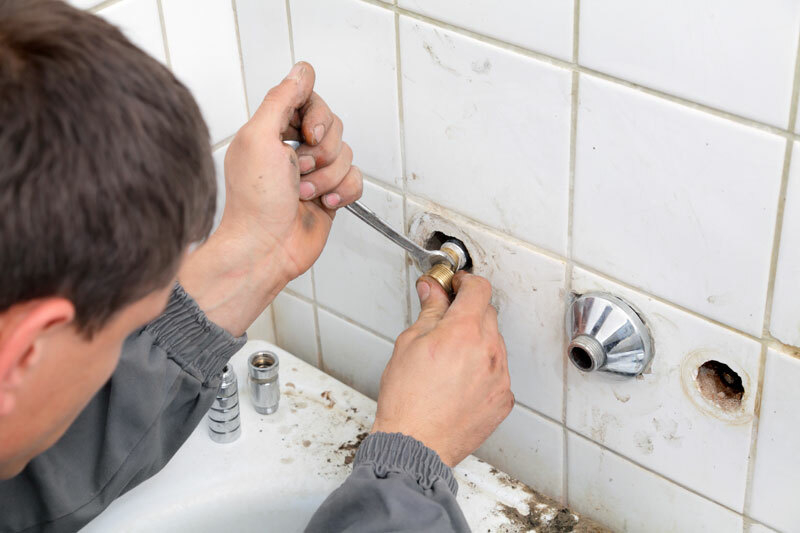 You can count on us for fast, economical faucet repair & replacement. It doesn’t matter if it’s the bib for a garden hose or an elaborate designer kitchen fixture. We’ll professionally take care of any type of faucet installation and repair. You probably know about the two main types: multi-tap (common for laundry and bathroom faucets) and single-handle (common for kitchen sink faucets). But there are different types of construction inside. Compression types are a simple design using a soft washer. They’re almost universal for hose connections and common in lower-cost bathroom faucets. The washer is quick and easy to replace, but sometimes it’s necessary to grind out deposits or damage to the valve seat that the washer presses on in order to fix a water leak. The tool to do that is inexpensive, but it takes no small amount of skill and experience to use successfully. Washer-less designs are actually more complicated and come in three main types. Cartridge and stem also called sleeve, designs are common in shower faucets. Ball and cam assembly types are common in kitchen sink faucets. Ceramic disk designs are typically found in high-end fixtures. Regardless of type, if the faucet leak is around the handle something as simple as tightening the packing nut may fix your faucet. Otherwise it’s necessary to replace an O-ring seal. A water leak from the spout means replacing multiple seals or the entire inner assembly. Cartridge and stem types are designed to make this easy. Ball and stem types can be much trickier, and it’s easy to damage ceramic disks during installation and repair. If you’re stressing out about a decision to repair or replace we’ll be happy to discuss pros, cons, and costs. In the meantime keep in mind that if you think it might need replacing now it will need replacing before too long. And there’s nothing wrong with just wanting to replace a fixture who’s surface is pitted, scratched, dull, or no longer your style. Here are some more repair vs replace info for you. Repair services typically take less than an hour and a replacement installation not a whole lot longer. Most makes and models last about 10 years and may start having troubles after 8 years or so. If yours is at or beyond 8 years old lean towards a replacement. If the body is cracked a leak repair isn’t possible. If it’s time for a new kitchen or bathroom faucet installation we can take care of that as well. From basic functionality to stylish accents for any decor you have a huge range of choices in design, finish, and features. Leading manufacturers include American Standard, Delta, Grohe, Moen, Kohler, and Toto. Each of these companies includes special water-conserving models in their product lines. 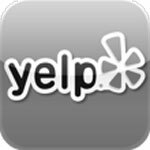 We’ll be happy to guide you through some of the options. And of course we’ll double check well in advance that any choice you make is compatible with your existing counter top or vanity. As professional plumbers, we’ll look beyond the faucet itself. If we see excessive scale build up we may suggest a water softener installation or maintenance. Excessive water pressure contributes to leak repairs and plumbing failures. If you’re above 80 psi (pounds per square inch) you should consider installing a pressure-reducing valve to protect your faucets, appliances and all your plumbing. Kevin was prompt and courteous. Did a great job at a affordable rate. Way better than We Care, trust me call these guys first.